See today's Ramsay condos for sale in Calgary! In Calgary's city centre zone is the historical residential community of Ramsay. Named as one of the best neighborhoods of Calgary, the community is liked by many residents for its diverse and funky environment. 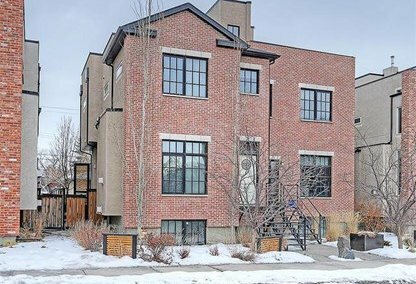 To learn more about Ramsay real estate for sale or to schedule a guided condo tour, connect with your Ramsay Calgary real estate team today. Ramsay housing market statistics: As of April 25, 2019 there are currently 9 properties for sale in Ramsay listed as active, with an average asking price of $818,611. The highest-priced property is $1,199,900; the lowest priced property can be purchased for $464,900. 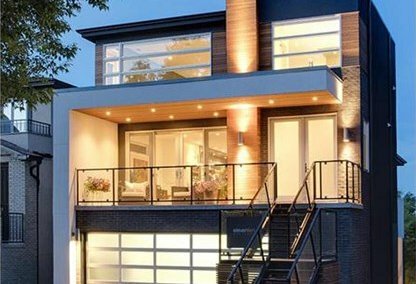 Ramsay neighbourhood listings have an average price of $549 per square foot, based on listings with 3.6 bedrooms, 2.9 baths, and 1,741 square feet of living space. Looking to sell or buy a home in Ramsay Calgary? Call Justin Havre at RE/MAX First - 403.217.0003, your neighbourhood Calgary real estate team. We are Ramsay real estate agents and experts on the Ramsay housing market in Calgary. In the 1880s Wesley Fletcher, together with his partners, developed the area, which is now the community of Ramsay. The name Ramsay was given in 1956 when the Brewery Flats, Mills Estate, Grandview, and Burnsland residents unified and became a new neighborhood. The community primarily consists of heritage homes and has an industrial area on its eastern corner. According to the Calgary census of 2011, over 2000 residents were living in the neighborhood of Ramsay. The approximate distribution of occupied dwellings in the community were single detached homes (64.1%), apartments (25.3%), row houses (4.5%), semi-detached homes (4%), and other housing types (1%), where 57.6% of the dwellings were owned and 42.9% were rented. Being near the city center, the neighbourhood of Ramsay offers great amenities to home buyers in terms of spectacular views, numerous recreation activities, and a relaxing lifestyle. The Scotsman's Hill provides residents the opportunity to witness the city's scenic view and fireworks display from the Stampede Grandstand. Parks and playgrounds in the community allow residents to have fun and try out different activities so that they can maintain a healthy lifestyle. Fitness centers within Ramsay also help members of the community stay healthy and in shape. There are hospitals near Ramsay real estate that offer excellent health care services to residents. With friendly neighbors and excellent community facilities and amenities, the neighbourhood of Ramsay is an ideal place to experience fun, relaxed, and comfortable community living. Planning to buy or sell a home in Ramsay Calgary? Let our real estate team guide you in your search for the perfect home and professionally facilitate the sale of your existing home. As Ramsay neighbourhood real estate agents, we know how to navigate the Ramsay real estate market. Let's get your home sold quickly and at the highest price! Contact Justin Havre at RE/MAX First - 403.217.0003 to find out more about buyer or seller representation. Thinking of selling your Ramsay home? Check out our free property evaluation tool, where you can easily view Calgary Homes Values online in moments!